In the Nintendo 64 classic, The Legend of Zelda: Ocarina of Time, Saria is a close friend of Link and lives with him in the Kokiri Forest. After the death of the Deku Tree, Saria gives Link her prized possession – an ocarina – before sending him on his way. 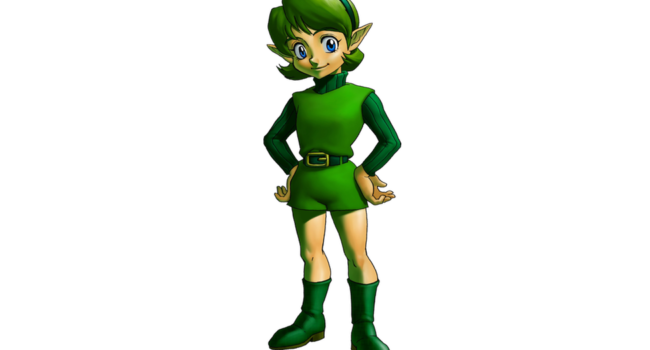 Later in the game, Saria is revealed to be the Sage of the Forest and helps Link on his quest to defeat Ganondorf. Her green hair is her most striking feature.